With the invitation to live the fidelity as the demand of Christ in each instant of our life. 1) The Gospel of everlasting love. The various parts of the Gospel that the liturgy is presenting in these Sundays show us Jesus on the way to Jerusalem and the Cross. In this context, the Evangelist Saint Mark brings together many of the Jesus’ teachings to his disciples. After having educated them about service, acceptance, and scandal (see the Gospel of last Sunday), now the Messiah gives his teaching on marriage and children. 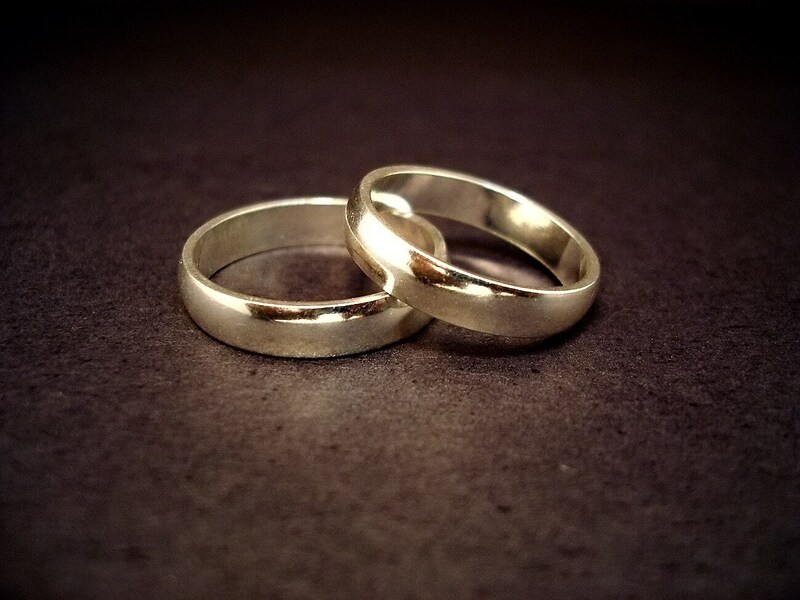 What does Jesus teach about marriage? It is not just a reference to the past, but a truth that remains over time because it is the origin of everything, according to the creative wisdom of God. This is good news: there is a loving plan of God for the family. It is part of the wisdom of the Creator, not a product of historical contingencies. It is in this plan of God, therefore, that we can find its permanent identity. The nest of loyalty is the God’s heart that welcomes human hearts so that their love is no more as ephemeral (lasting only one day) as a dream that fades at dawn. Lasting human love between man and woman is according to the heart and intelligence of God. The indissolubility lived as a gift and not as a yoke is a fundamental characteristic also for the consecrated persons. In this regard, the Instruction Ecclesiae Sponsae Imago at n. 24 states: “Christian virginity is an experience of intimate, exclusive, indissoluble spousal union with the divine Spouse who has given himself to humanity without reserve and forever, and in this way a holy people, the Church, has been acquired”. In short, fidelity is not a prison, it is a gift. Therefore, man must not divide but act like God committing himself to keep the tenderness with gestures and words that create communion between the two who know how to unite their lives. Let’s better see why with a brief comment on today’s Gospel. Like all the other times when the Pharisees try to engage him in a debate to trap him, the Messiah goes beyond the narrow terms in which these men pose a question and goes to the root. In fact, to those who had asked how to interpret the Mosaic Law on divorce, Jesus does not say how it should be interpreted but reminds them of the intention that, from the beginning, God had about marriage and its indissolubility. Closely linked to the text of today’s Gospel is the first reading from the Book of Genesis that speaks of the beginning. What is the beginning? Literally and first of all, it is the story of creation that we find in the book of Genesis, especially in the first chapter. This chapter culminates with the creation of man and woman “in the image and likeness” of God. The image of God as a whole is not only in man or woman alone but in both as a communion of persons. For this reason, the first reading of this Sunday is taken from the book of Genesis and is closely linked to the gospel. In the first book of the Bible, we find the narration of the creation of man and woman and of the birth of the family, based on marriage, which is a natural institution. The couple, the union and the collaboration come fully into the plan of creation, so much so that it is spoken of procreation. Already at the beginning of the Bible the concepts of couple, relationship, interdependence, communion, fertility, and the gift of life and sharing in a marriage are expressed in a clear and significant way. We are made for the others. Loneliness and individualism are not reflected in a truly Christian vision. The fruitful and selfless (altruistic) communion prevails over the hedonistic and materialistic conception of love and marriage. To understand this in our world means to make choices in life able to cope with the devastating strikes toward family values. For this reason, the reference to the beginning, the creation, indicates that the understanding of marriage is not based on a physical or biological theory, but on a personal category, the category of vocation. The reference to “the beginning” send us to the beginning of the Gospel of John “In the beginning was the Word” (Jn 1: 1), which refers to Christ himself, “through whom all things were made.” He, the Son, is the perfect image of the Father, who at the wedding at Cana is manifested also as the Bridegroom. To find the identity of marriage we have to look not only to the creation but also to the Son and to the mystery of the Most Holy Trinity, mystery of love and relationship: the relationship of the Father, infinitely Lover, with the Son, infinitely Loved, and the Holy Spirit, infinitely Love. Finally, the reference to “the beginning” also alludes to the human heart, which is the principle of human acts, as recalled by the Lord Jesus himself (Mk 7, 21-23). The identity of each one of us is written in our heart from where the words and actions come. Let’s maintain a heart of children in order to receive Christ and be in tune with his Heart. 3) We become the one we welcome. In the Gospel of this Sunday, beside the invitation to the lasting, reciprocal and faithful welcome between man and woman, Christ speaks also of the welcoming of children. Unlike his disciples, Jesus welcomed the children. Doing this, He not only goes against the mentality of the time but even against the mentality of his disciples. This episode reveals, in fact, a conflict “The disciples rebuked them … Jesus saw it and became indignant …” To the amazement of the disciples, Jesus welcomes the children and spends time with them. The seriousness of his way to Jerusalem does not distract Jesus from the children. He considers them capable of following him, always and everywhere, including the Cross. To this regard, let us think of the Holy Innocents. do not prevent them, for the kingdom of God belongs to such as these. Amen, I say to you, whoever does not accept the kingdom of God like a child will not enter it.” “And, taking them in his arms, he was blessing them, laying his hands upon them.”(Mark 10: 14-16). The attitude of the disciples is peculiar. The Pharisees approach Jesus to test him. The children approach Jesus to receive caresses and blessings. The disciples do not to prevent the Pharisees to approach him but they scold the children. The kingdom of God admits only the children and those who become like them or, better, those who become like the Child Jesus, who became a child to serve and save. The important thing is to welcome because we become the One we welcome: God. Jesus is angry with his disciples because they have not understood anything about the deeper meaning of what He is teaching, and says “Let the children come to me”. Going to Jesus. Salvation is to go to him and to be with him. “Let them be, do not hinder them, because the Kingdom is of those who are like them.” To become like children is to accept that we are little and that our belonging to the Father is freedom. The need of being children is the need to belong to God, Father from ever and forever. He is the merciful Father who always welcomes us. The Messiah told his disciples to welcome the children so that these adult men may accept to be like children. He gave them the teaching that today he repeats to us so that we too may welcome Him who makes himself little for us. He asks for our love: so he makes himself a child. He wants nothing other from us than our love. By being close to him with the simplicity of children, we can learn to live with him and to practice with him that humility of renunciation that belongs to the essence of love. God made himself little so that we could understand Him, welcome Him and love Him. One significant way to experience to be spiritual children is the one of the consecrated Virgins in the world. The child is pure receptivity, he becomes what is given and said to him. These women with their dedication have trust and rely completely in Christ. Their “business” is to live by receiving everything from God. Virginity is evangelical childhood to which the Kingdom of God belongs. How does a child welcome the Kingdom of God? With awe and eyes “new” because pure, eyes that reflect the sky. Like children, the Virgins have new eyes, capable of a gaze that can wonder, get excited, enjoy and really enter the house of the Good Father. Finally, the physical solitude of the heart is not for the consecrated virgins an isolation from the world and from the Church. By an intimate vocation, they are dedicated to divine worship and the charism of prophecy is often recognized in them. For their commitment, they have in the community a task of edification and example “for those who are already faithful and for those who will become” (pseudo-Clement, Letter to the virgins 3, 1: Funk 2,2). For their holy conduct, they are the object of a particular pastoral solicitude. They are considered “flowers sprouted in the church […], a reflection of God and imprint of the holiness of the Lord, the most elect portion of Christ’s flock” (Cyprian, “The dress of virgins” 3: CSEL 3/1, 189). Chrys., Vict. Ant., Cat. in Marc., and see Chrys. Hom. 62 (note: the same sort of comment is to be found in Origin, in Matt. tom. 14, 17, IIii in Mt 19, Ambr. in Lc 8,9 Lc 8, Op. Imperfecti in loc. Theophyl. in Mt 19): For being asked, whether it is lawful, he does not immediately reply, it is not lawful, lest they should raise an outcry, but He first wished them to answer Him as to the sentence of the law, that they by their answer might furnish Him with what it was right to say. They put forward indeed this that Moses had said either on account of the question of our Saviour or wishing to excite against Him a multitude of men. For divorce was an indifferent thing among the Jews, and all practiced it, as though it were permitted by the law. Augustine, de Con. Evan., ii, 62: It makes nothing, however, to the truth of the fact, whether, as Matthew says, they themselves addressed to the Lord the question concerning the bill of divorcement, allowed to them by Moses, on our Lord’s forbidding the separation, and confirming His sentence from the law, or whether it was in answer to a question of His, that they said this concerning the command of Moses, as Mark here says. For His wish was to give them no reason why Moses permitted it, before they themselves had mentioned the fact; since then the wish of the parties speaking, which is what the words ought to express, is in either way shewn, there is no discrepancy, though there be a difference in the way of relating it. It may also be meant that, as Mark expresses it, the question put to them by the Lord, What did Moses command?, was in answer to those who had previously asked His opinion concerning the putting away of a wife. And when they had replied that Moses permitted them to write a bill of divorcement and to put her away, His answer was concerning that same law, given by Moses, how God instituted the marriage of a male, and a female, saying those things which Matthew relates (Mt 19,4); on hearing which they again rejoined what they had replied to Him when He first asked them, namely – Why then did Moses command? Augustine, cont. Faust, XIX, 26: Moses, however, was against a man’s dismissing his wife, for he interposed this delay, that a person whose mind was bent on separation, might be deterred by the writing of the bill, and desist; particularly, since, as is related, among the Hebrews, no one was allowed to write Hebrew characters but the scribes. The (p. 195) law, therefore, wished to send him, whom it ordered to give a bill of divorcement, before he dismissed his wife, to them, who ought to be wise interpreters of the law and just opponents of quarrel. For a bill could only be written for him by men, who by their good advice might overrule him since his circumstances and necessity had put him into their hands, and so by treating between him and his wife they might persuade them to love and concord. Bede: The reward then of marriage is of two to become one flesh. Virginity being joined to the Spirit becomes of one spirit. Bede: What therefore God hath conjoined by making one flesh of a man and a woman, that man cannot separate, but God alone. Man separates when we dismiss the first wife because we desire a second; but it is God who separates, when by common consent (1Co 7,5), for the sake of serving God, we so have wives as though we had none (1Co 7,29). Pseudo-Jerome: This second question is said to be asked “again” by the Apostles because it is on the subject of which the Pharisees had asked Him, that is, concerning the state of marriage; and this is said by Mark in his own person. Wherefore it is said, “They that eat me shall yet be hungry, and they that drink me shall yet be (p. 197) thirsty”; for the tasting of the honied words of wisdom yields all manner of savor to them who love her.